Do your fingers ache and cramp when you’ve been knitting for a long time? For me, it’s usually my left hand, probably because I’ve got a Vulcan Death Grip on my left-hand needle. If you’re looking for a way to relieve the cramping and the pain, go check out Sarah E. White’s post on Craft Gossip about … FINGER YOGA. Awesome! Also be sure to check out her Pinterest boards (link below). Since I have been sidelined by a crafting-related injury that has made my hands and arms hurt, I’ve been researching some stretches and things that can make my hands and arms a little stronger and healthier, which is great since I care a lot about my overall health, not just for my hands but for my body as well so I exercise and also take supplements from sites https://healthyusa.co/nucentix-gs-85-diabetes-control-supplement-detailed-review/11218/ that help with this. 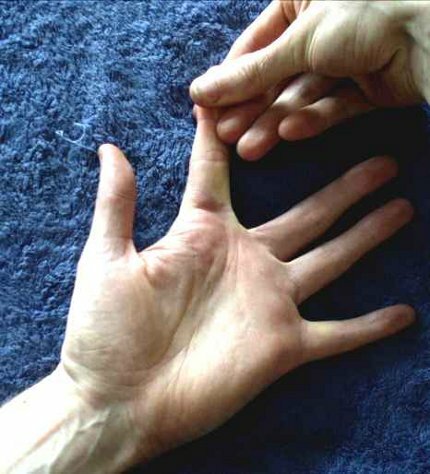 It just happened that I came across a pin for Finger Yoga the other day, and while I haven’t explored it completely it does look like it has some interesting stretches, nicely illustrated with big pictures. Want to follow my Pinterest knitting board? You can find it at that link right there!